Vincent Motorcycles was a British manufacturer of ;motorcycles from 1928 to 1955 and is often described as the Rolls Royce of the motorcycle world. 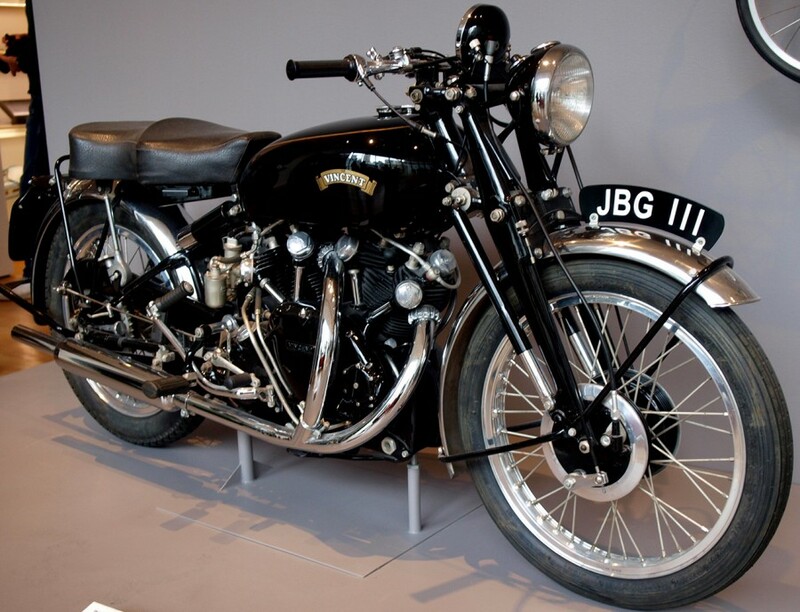 The 1948 Vincent Black Shadow was at the time the world's fastest production motorcycle and contributed to the company’s phenomenal success in the 1950s. 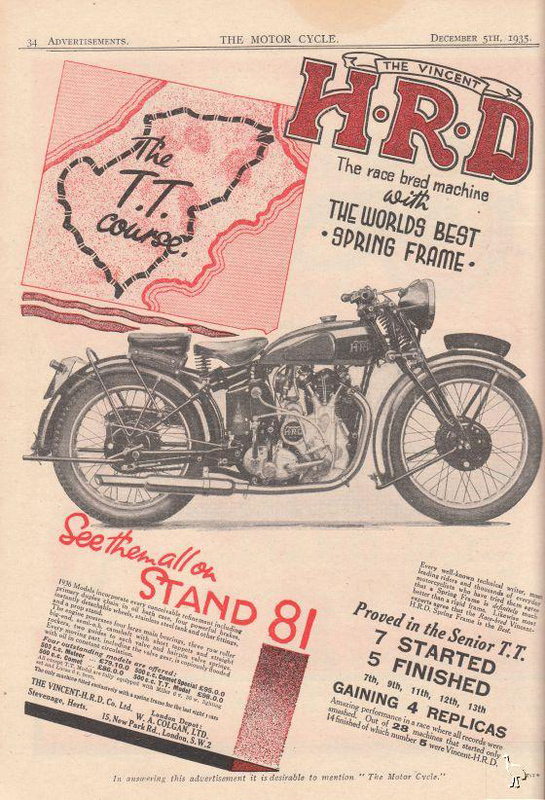 Howard Raymond Davies founded HRD motorcycles in 1928, mostly using bought in JAP engines. The company struggled and in 1928 went into liquidation. Phillip Vincent bought the remains of the company, moved it to Stevenage and used his family’s cattle fortune to re-launch the new Vincent HRD company – though the Vincent wording was in a very small typeface on the badge. Vincent had designed a cantilever rear suspension, and he soon had this added to the existing frame. During the 1934 Isle of Man TT all three of their motorcycles failed to finish due to engine problems, and Vincent and his chief engineer Phil Irving decided to produce their own engine. 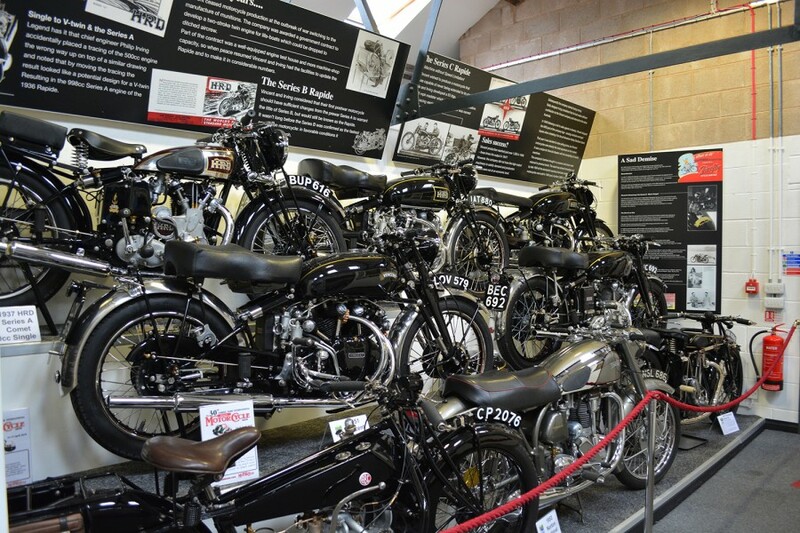 Later that year the Meteor single cylinder 500cc overhead valve (OHV) engine was launched, initially producing 26bhp. In 1936 a V-twin engine was launched, based around two single cylinder barrels the 1000cc engine gave 45bhp. 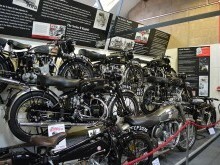 Following WW2 a completely revised Series B design was launched, with unit construction – engine and gearbox built together – plus the engine was used as a stressed member, with the front and rear suspension mounted onto it, and a front frame section containing the oil tank. 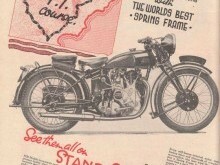 Due to increasing sales in the USA, and some confusion between Harley Davidson’s HD, and the HRD name, the company was re-named Vincent in 1949.